Agree upon priorities within the curriculum. Clarify how the curriculum translates into student knowledge and skills. Establish general pacing guidelines for delivering the curriculum. Commit to one another that they will, in fact, teach the agreed-upon curriculum. Norwalk is committed to providing a guaranteed and viable curriculum in all content areas and to every student. 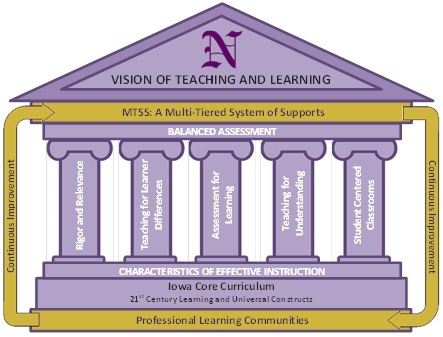 In Norwalk, we share a vision of teaching and learning that guides our work related to curriculum, instruction, assessment and professional development. As a system, we are working to realize this cohesive vision on our continuous journey of school improvement.